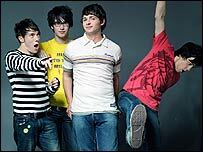 The BBC News website's Sound of 2006 survey has uncovered the best new music by asking more than 100 critics and broadcasters for their favourite up-and-coming acts. Find out about the Sound of 2006's top 10 artists and listen to full streamed tracks below. She is: A British soul singer who will warm your heart one minute and break it the next. She sings love songs that avoid being saccharine and bland and has enough pop sensibility to acquire a large and devoted following. She says: "I want my music to have an effect on people. But I'm not interested in celebrity." They are: New York indie five-piece who were one of last year's biggest word-of-mouth success stories. 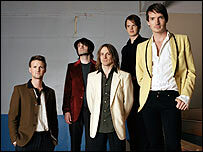 With effervescent, tuneful, inventive songs and singer Alec Ounsworth's distinctive yelp, they look set to go overground in 2006. 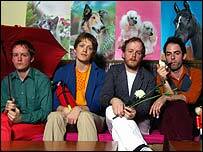 They are: One of the few British guitar bands of recent years to proclaim that they are pop and proud. They are hoping to resurrect a brand of middle-of-the-road soft rock, inspired by Supertramp and 10CC, which has not been in fashion for a few decades. 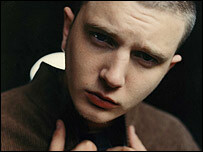 He is: An uncompromising London rapper/R&B singer who accompanies himself on an acoustic guitar. 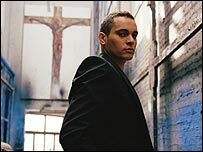 Dubbed the British Eminem, his savage tales of drugs, crime and violence are likely to attract controversy. He says: "Yeah, I'm being blunt and I'm using bad language but I'm just trying to portray something real." They are: A quartet trying to rediscover a time when good tunes and chart success could go hand-in-hand with individuality and invention. They can be quirky and catchy in one song and dreamy and haunting in the next. 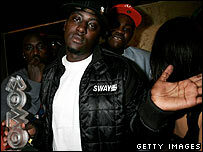 He is: A Londoner who is leading the British rap pack with charisma and wit. His infectious delivery and gentle satire on urban life won him the best hip-hop prize at last year's Mobo Awards - beating US superstar 50 Cent. He says: "I'm a positive person and this positivity comes out in my music. I don't go round holding guns to people's heads, so I won't rap about holding guns to people's heads." 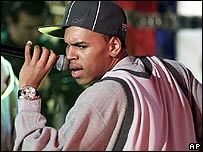 He is: Smooth 16-year-old US R&B prodigy who spent five weeks at the top of the US singles chart with Run It! He has urban credo and upbeat booty-shaking songs as well as a soulful pop singing voice that has been compared to that of the young Michael Jackson. He says: "It's hard to stay focused with all these lovely ladies out here. But I still want to be the best." He is: A Mexican-American former member of almost-ran boy band Sons of Harmony, who had support slots with Destiny's Child and Pink. 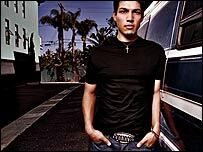 Now solo, he offers sensitive R&B and soulful ballads with a Latin twist on his debut album C About Me. He says: "I want my music to remind you of good times. I want my words and phrases to be more than a cliche." They are: A mainstream croon-rock group led by Harry Collier, who was discovered when he belted out happy birthday to customers at his cafe. Repackaging Jeff Buckley for the Maroon 5 crowd, they have already had a UK Top 30 hit with Wicked Soul. They are: Exuberant electro-rock teens from Wales whose energy and knack for hormone-fuelled anthems has seen them slice through the indie pack. Debut single Recover was produced by ex-Lightning Seeds star Ian Broudie and released on the Kaiser Chiefs' label. Who is your favourite artist from the Sound of 2006 list?